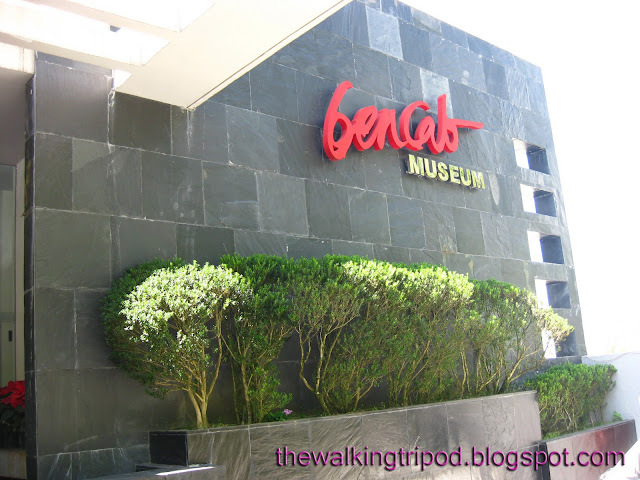 Making its mark as one of Philippines never to be missed art gallery is the Bencab Museum. Located in a quiet winding Km. 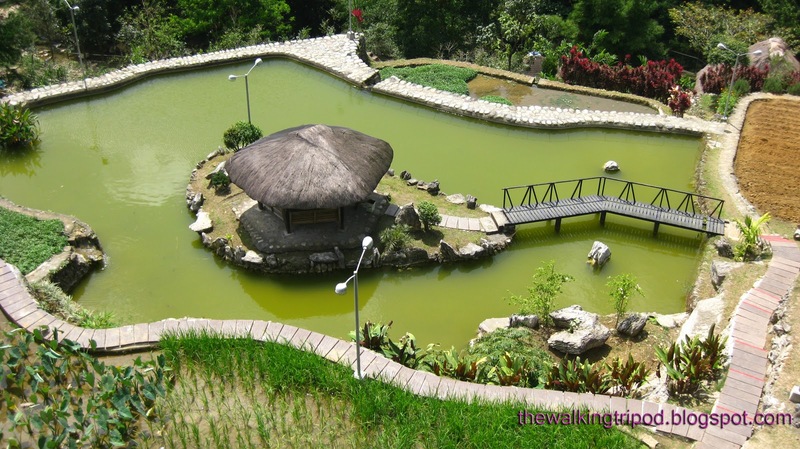 6 Asin Road, Tadiangan, Tuba, Benguet, this museum is a 15-minute uphill drive from the center of Baguio City. We went to the museum day before the Grand Float Parade, we were lucky enough to catch a cab knowing the day would be a bit of a challenge considering it's when the Grand Street Parade happens. I excitedly asked the driver to take us to Bencab Museum but I began to worry when he maneuvered the car straight to Session Road where the traffic is terrible. He said that is the only museum he knew and tried to asked other drivers but they also pointed him to that direction. 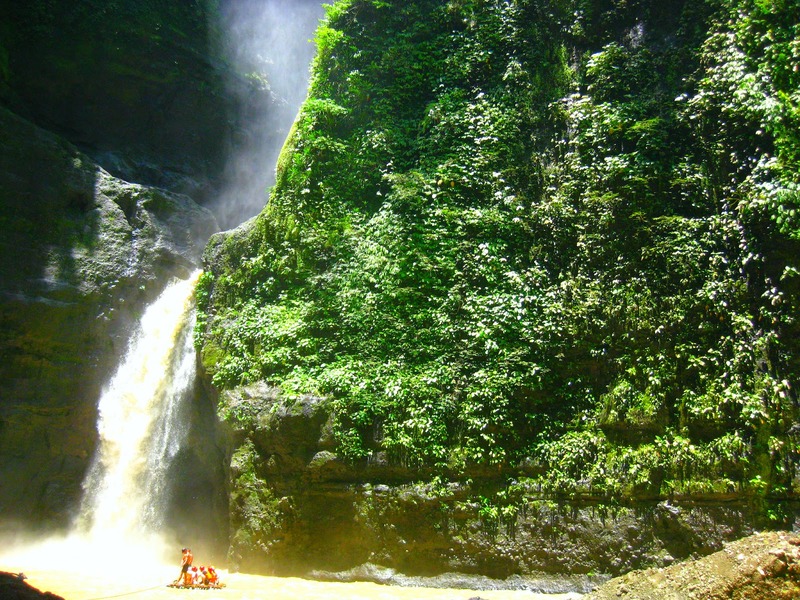 I said it's in Naguilian area somewhere near Tam-awan Village (based on my online research). 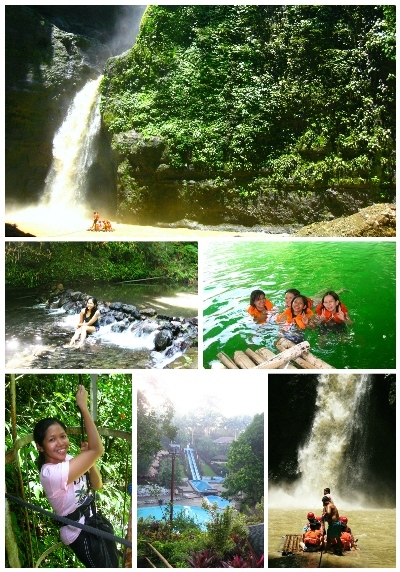 Still not knowing where the place is, we agreed to go to Tam-awan Village instead. 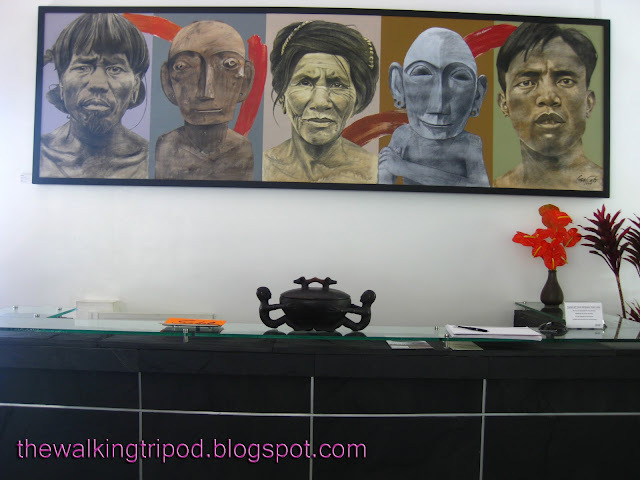 From Tam-awan, we took another taxi who knew where Bencab Museum is. Honestly, I was much more excited to see the museum than the float parade. I have been dreaming about meeting Bencab again in person (the first time I saw him was during college along with other National Artists on one of our symposiums) And when we arrived, we were lucky to see the artist himself, taking care of museum's special guests. 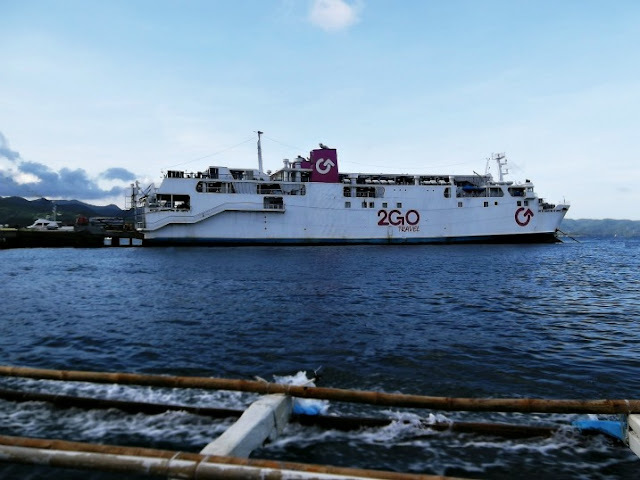 We're just in time to see the country's Tourism Secretary Mr. Alberto Lim with other media people such as Winnie Cordero and a couple of police escorts as they were toured by Bencab himself. A modern architecture building nestled on top of Cordillera mountains with three spacious floors holding a collection of Bencab's artworks and Baguio's known wooden crafts. I love how the structure was made, it took advantage of the gorgeous mountain view outside, t'was airy and very contemporary. It was a stunner! How I wish my younger brother (a Mapuan architecture graduate) could see this in person. The gallery was amazing. I'm like a kid on a candy store as I step my way further inside, it was a virtual feast! 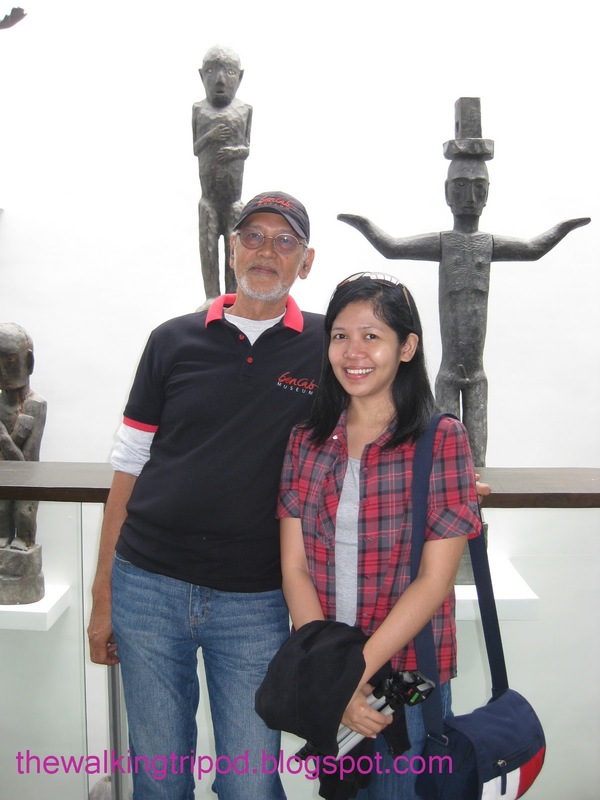 Benedicto Reyes Cabrera or popularly known as BenCab is widely hailed as a master of contemporary Philippine art. In 2006, he was conferred the Order of National Artist for Visual Arts by President Gloria Macapagal-Arroyo. An hour after we arrived, I am still in a state of starstruck, but coming from the world of TV production, trying to steal a minute from Bencab to take a picture should be relatively easy for me, so I just went for the steal! Haha! I mean, I don't want to leave the museum without a photo with him. Time really flies when you're having fun. It was 30 minutes past 1pm before we realized we haven't eaten our lunch yet. 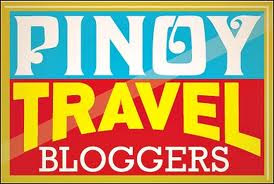 So off we go to Baguio city for a hearty meal.